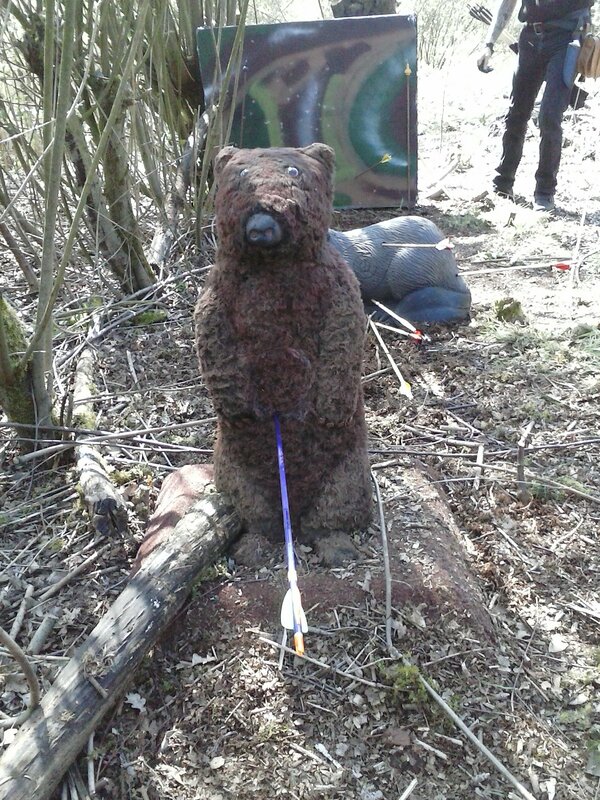 Shot for my first time yesterday at the 3D shoot in Wierden in Overijssel province. The wether was perfect for it, set in a local park and shooting with a really good group of people. I started off bad though. 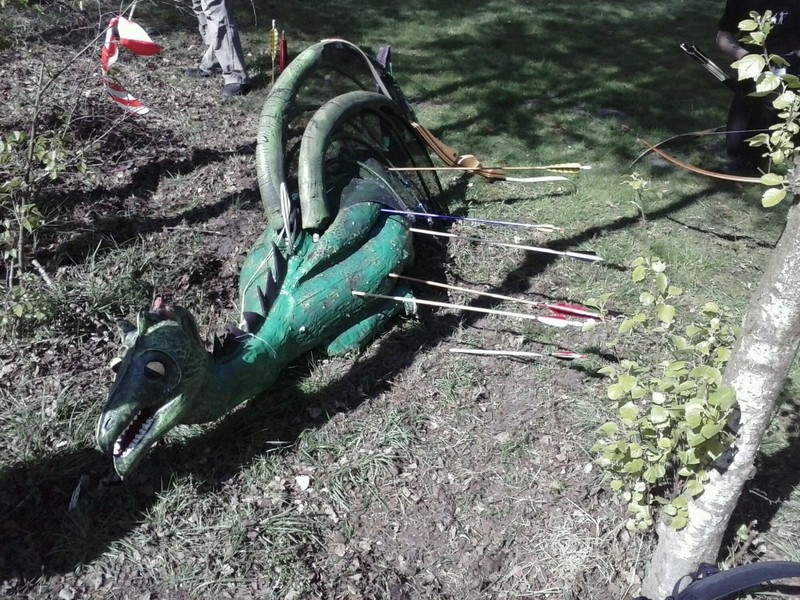 Lost an arrow at the first target and lost another not long after. 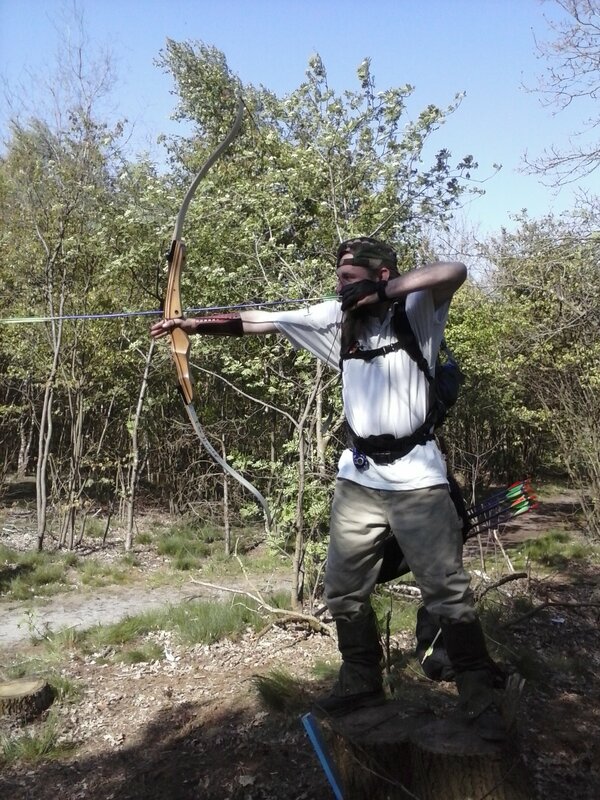 Even nearly lost my bow. I wear a sort of ring thing round my finger that loops round to my thumb securing the bow to my hand, as I keep my bow hand relaxed. Forgot to secure it to my thumb when shooting from a bridge and my bow took off with my arrow! 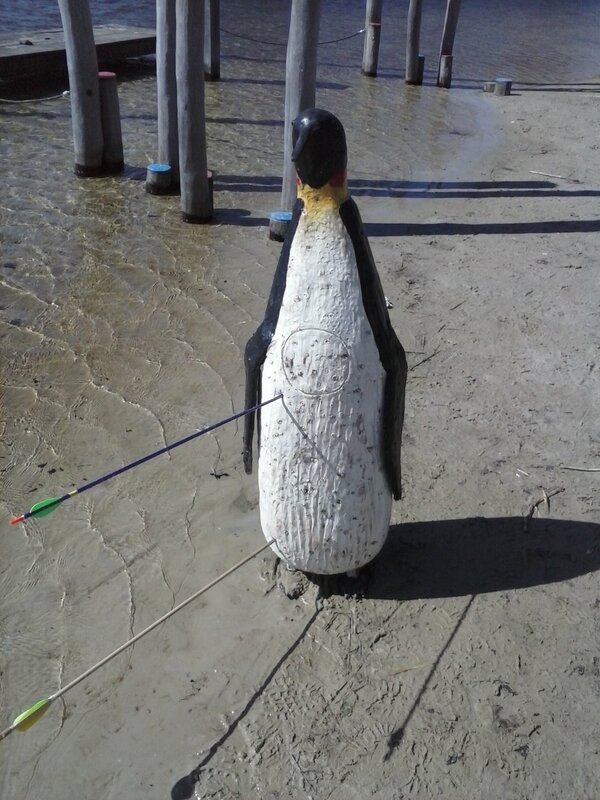 Luckily we managed to fish my bow out of the water. More of a red face than anything else. 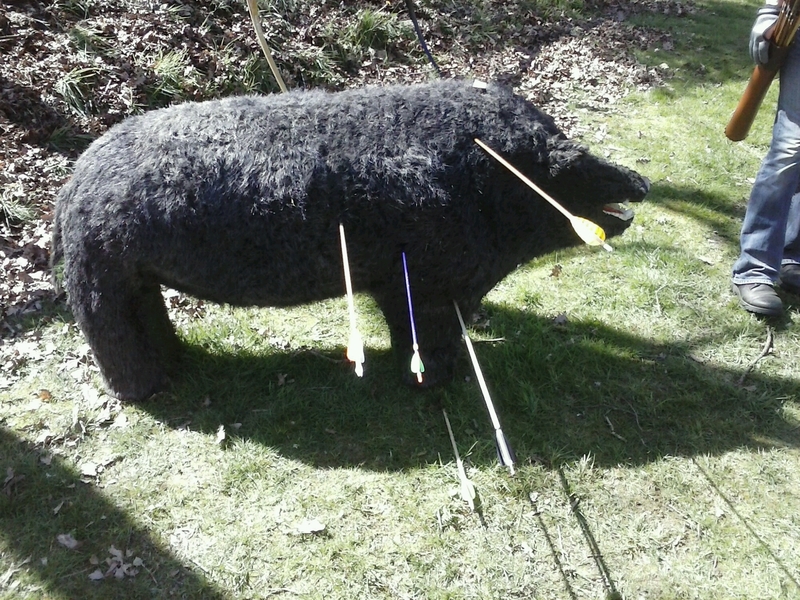 My shooting picked up after that and my confidence getting better. I wasn’t confident of gaining a decent score (by my standards) and told my girlfriend who was marking our score cards not to tell me what I had till I finished. I wasn’t shooting for points by this point, I just wanted to shoot without the distraction of points. Seemed to have worked. 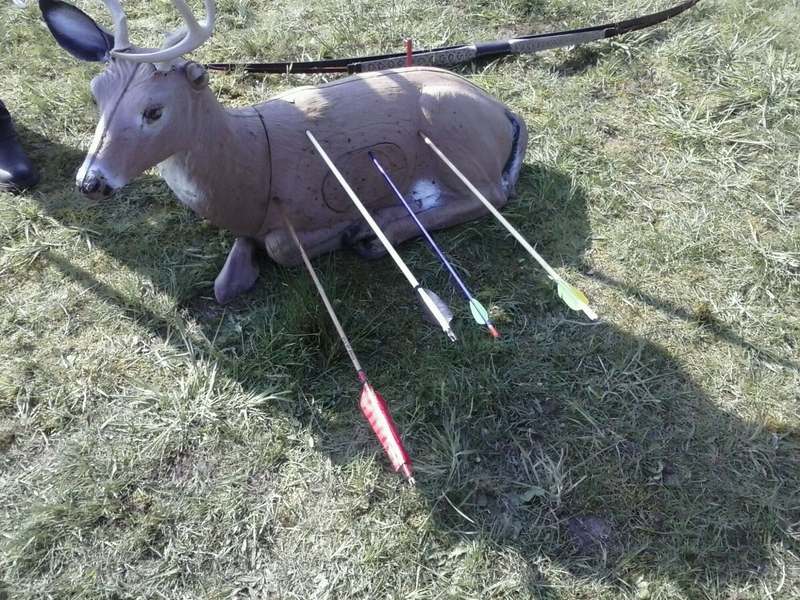 No pressure, more relaxed meant I got myself a new personal best in bowhunter recurve by a long shot. Really didn’t expect the score I got, and to cap it all my girlfriend came first in Ladies American Flatbow and her daughter picking up a winners trophy for Girls Historical Bow. It was a great day out. Some challenging targets, both in distance, shooting through the trees and the change in light. 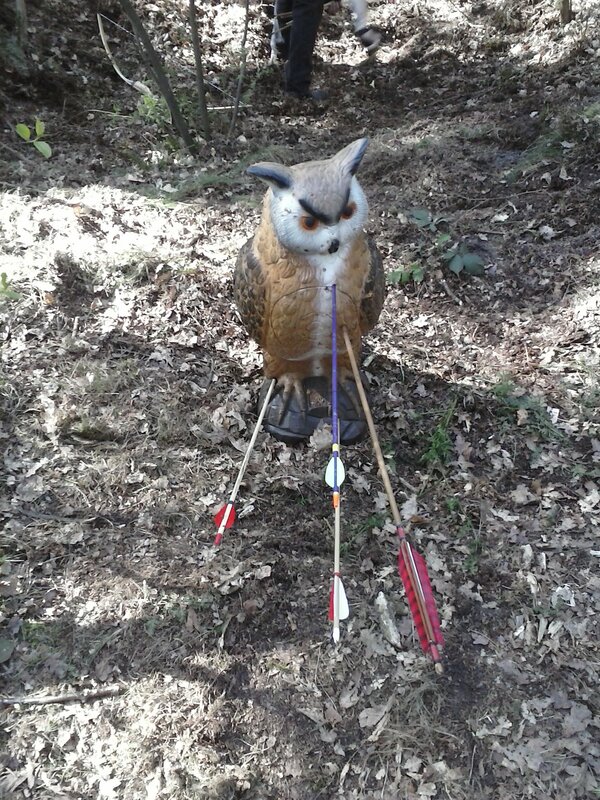 This entry was posted on Sunday, April 20th, 2014 at 8:34 am	and tagged with 3D archery, archery, hobbies, Netherlands, sport and posted in 3D archery, archery, hobbies, Netherlands, sport. You can follow any responses to this entry through the RSS 2.0 feed.